When I saw the picture of you in the vest I gasped. It's BEAUTIFUL and looks good on you. I have to admit that combined with the jacket it's a bit full on for me but what does the jacket look like on its own? Maybe you can wear them both but not at the same time. I'm new to garment making and went a bit crazy with my first shirt. It was far too bright - fine - far too small - not fine - and had lace trim all over the place. I looked like a place old ppl send their doilies to die, not a good look AT ALL. But I totally understand sewing something that doesn't end up being as wearable as you imagine while it's a WIP. Don't force yourself to wear it if it doesn't feel right. Experimentation is a great part of the process! I love the way these pieces look together but consider the source (!). Either you feel it or you don't and if you don't, that's OK. I've made things I've rarely worn; like you say, it's the journey. 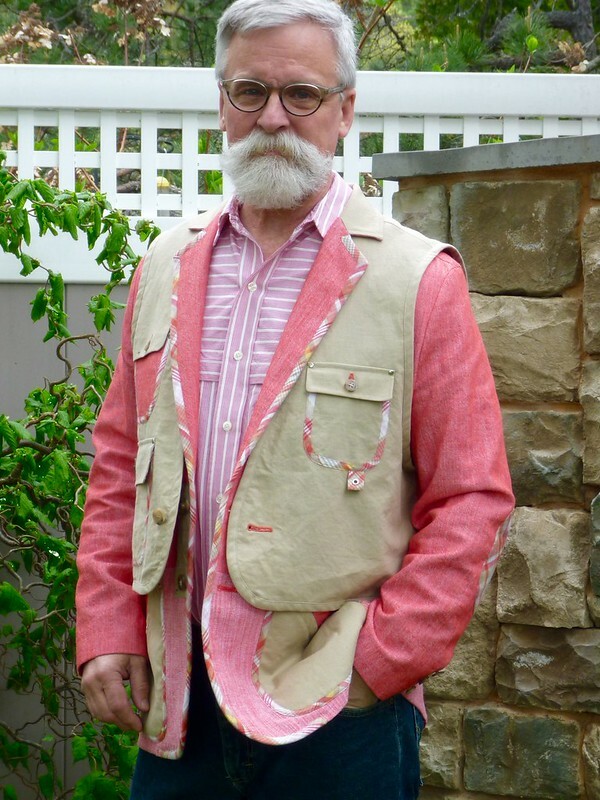 But seriously, it's really in the styling: the shirt's a little "square" for that jacket/vest combo -- maybe a solid white shirt with the top button buttoned? How about a white tee shirt? Kudos to you for taking the risk. I think it's a success! 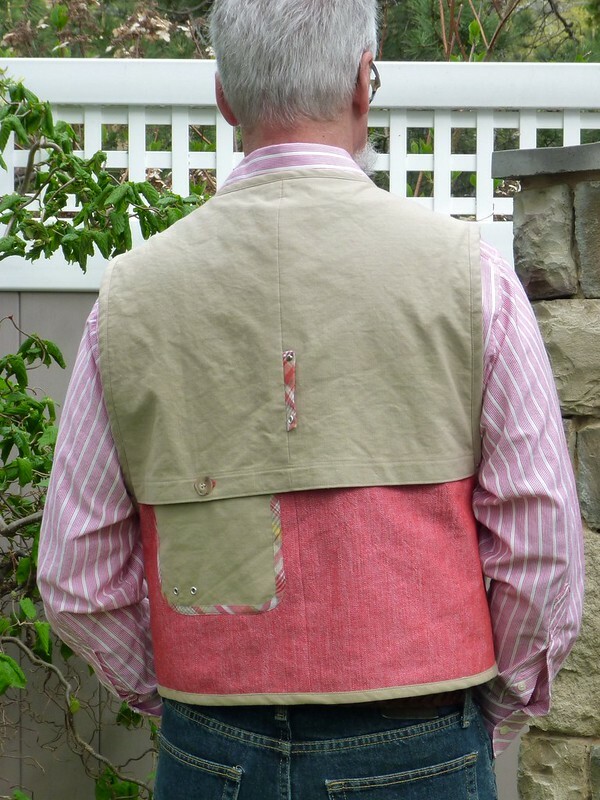 I really like the vest on its own and it is enough by itself, however the two together are extremely out there and I can understand your discomfort. I've got 2 pieces in my wardrobe, loved making them but they are not working for me. One I've worked out and the other I'm still trying to work out what is wrong. Together they are kinda crazy! But if you liked it I'd say go for it. However the best looks great with that shirt! Totally not too much. They look great on their own, and together if you live in the right place so that the look doesn't slide over the line from edgy to whacko. I once made a dodo inspired bustle dress for an Alice in Wonderland party ... it was fugly and has never been seen again. haha! You are just experiencing what a lot of female sewist have to battle against: sewing for your dreams and not for your life! But I don't think you went overboard with your vest, maybe it's a bit too fancy with the jacket for your life far from the city, but on it's own I find it just right to go fishing! I think that the vest and jacket on their own are really wonderful. From a design standpoint, I think that the combination of the two is really great as well. It's definitely a lot of look, but they work really well together and conceptually I love it. As far as actual wearability, I totally get where you're coming from, though. If you're not 100% comfortable in something it just doesn't work. You did a really beautiful job with all of it! I love the vest and I love the jacket. I think they look best as separates. 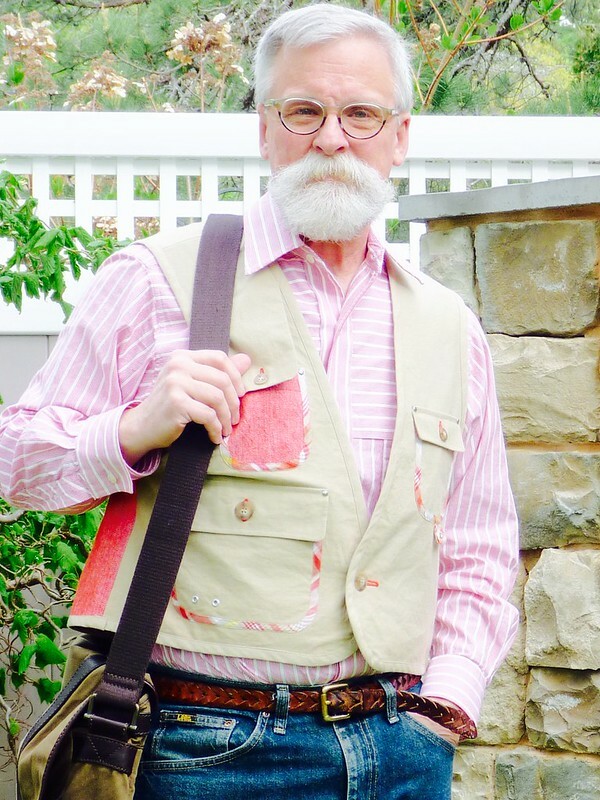 The vest with the murse is especially fetching. In the end, it's what you feel comfortable in that counts. 1. each piece by themselves is unique and stands out, putting them together is not working. 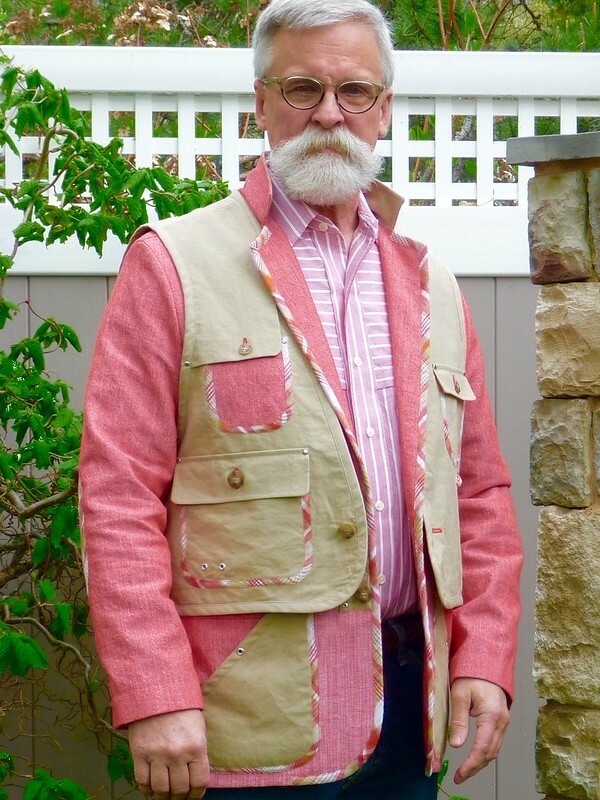 There is too much going on, if you look at the jacket/vest on top combo ie your inspiration, its done in a neutral color, so things blend together. Your look has way too much pattern, plaid, color all happening before your eyes. 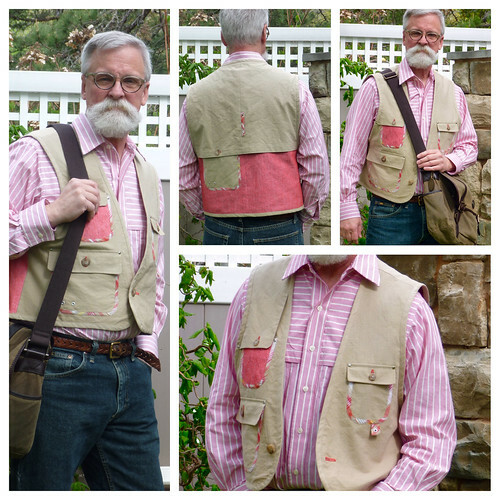 2. the vest inspiration, was shown with jeans and a matching or patterned shirt, if you had combined that look together, then you would be on target. 3. 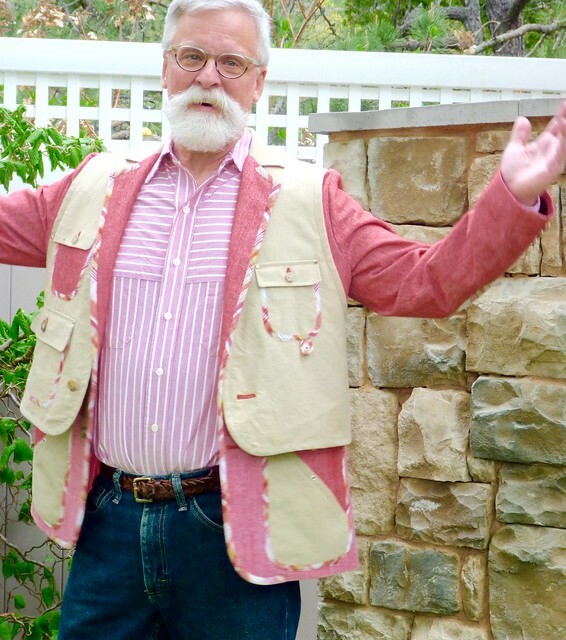 The shirt you chose to style your look with, is not helping, more pattern and matchy color. 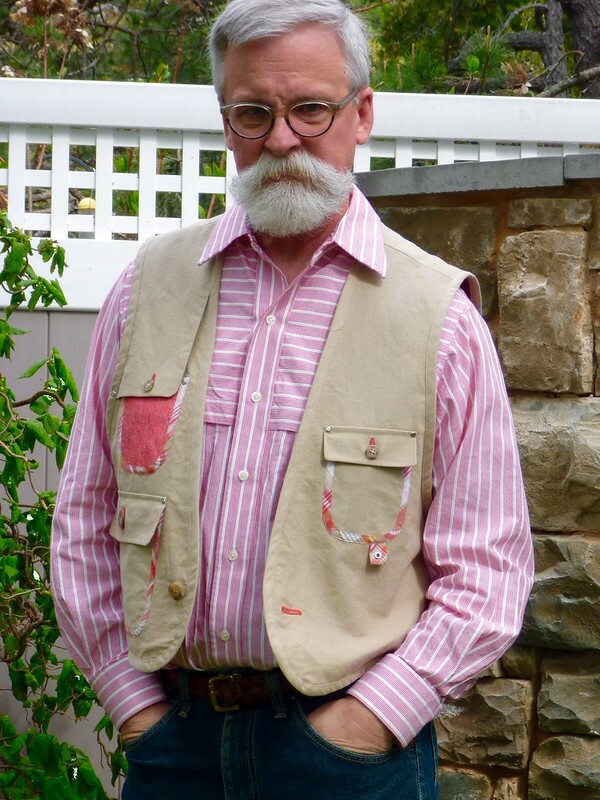 You can try a white shirt or tee with it and plain tan trousers, or you could even try putting the vest/waistcoat next to the shirt then the jacket, for the traditional look. I can understand your feelings on the look, and you are right about it. 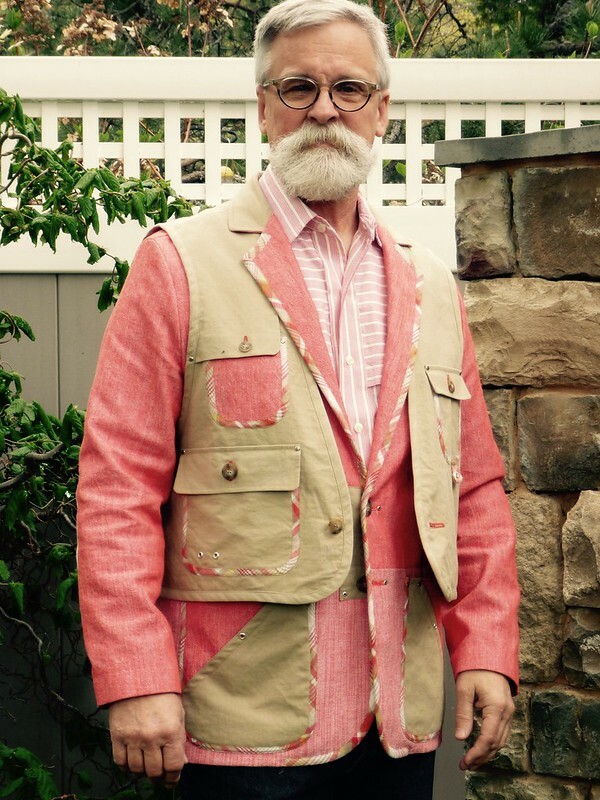 Your sewing as always is outstanding, tailoring skills impeccable, maybe sketching your ideas and making a story board with fabric swatches would help you bringing looks together. 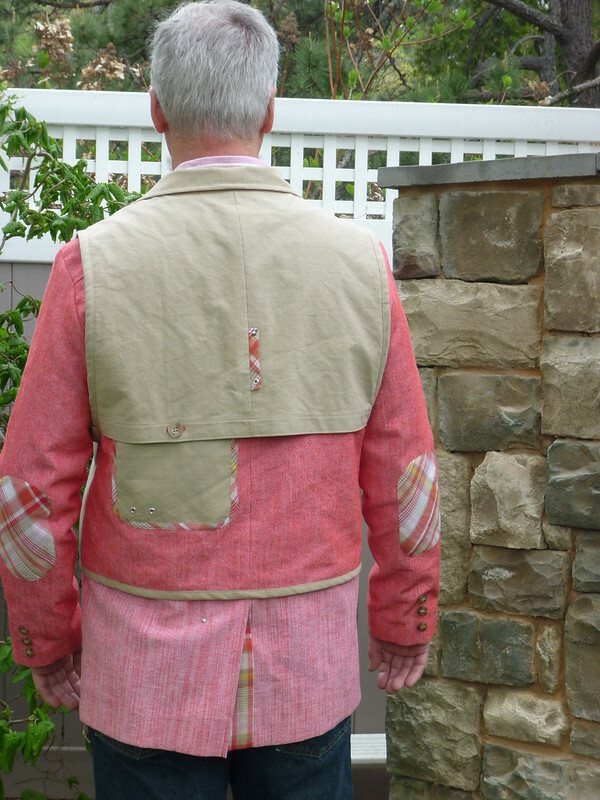 You always have to be careful of going over the top .. well unless your a japanese or french couture designer. 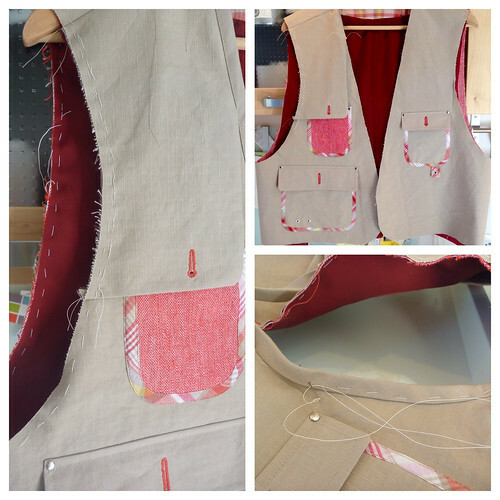 Risky sewing pushes our creative boundaries! You made 2 wonderfully designed garments. Neutral your other items ( shirt and pants). Inspiring. The workmanship is outstanding - as usual. I think Peter Lappin is on the money in suggesting just one item, with neutral everything else. Awhile ago I made a denim skirt for my daughter. It meant perfecting a few techniques and tweaking the fit a lot. The result was beautiful but sadly, straight skirts do not suit my daughter. Every time she's put it on its' lasted almost five minutes. Sigh. The jacket and vest together? Nope! Singly? Absolutely! I think these pieces are fantastic--meticulous, precision, engineered --these are all words that come to my mind looking at these two pieces. 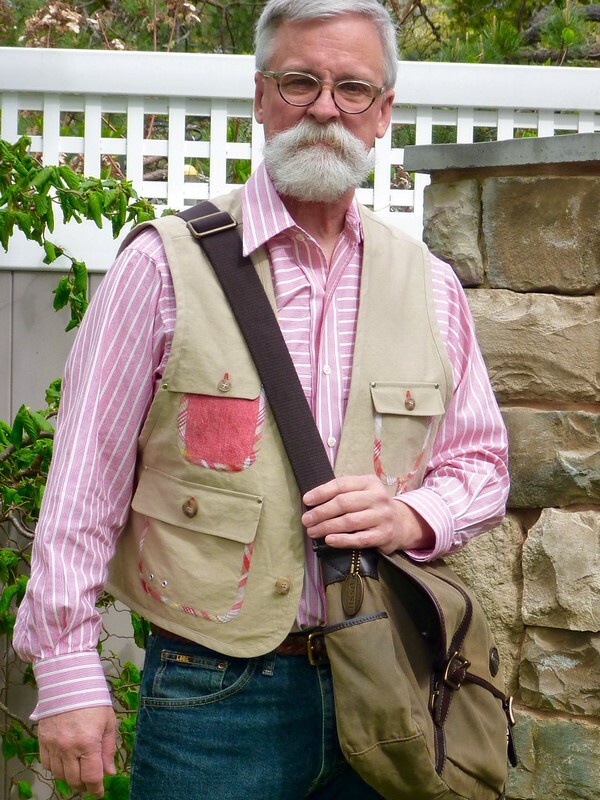 I think they look great on their own--your first photo of you wearing the vest with the button down and the messenger bag--it's perfection. You always look like you stepped out of a catalog. Wear them separately with pride! I like them both, but I would like each better alone. Although they did not hit the mark for your vision I so love that you shared it all with us. I learn so much from other folks sharing what didn't work for them. Your personality shouts and I feel like I can see you talking with your hands and pacing back and forth reading this. I really enjoy your blog and was excited to see how this intense combo would suss out. I did laugh at your "teetering...over the cliff...crash" preamble. The combo is definitely not coastal New England--but perhaps it means a trip to a more sartorially adventurous land is in your future?